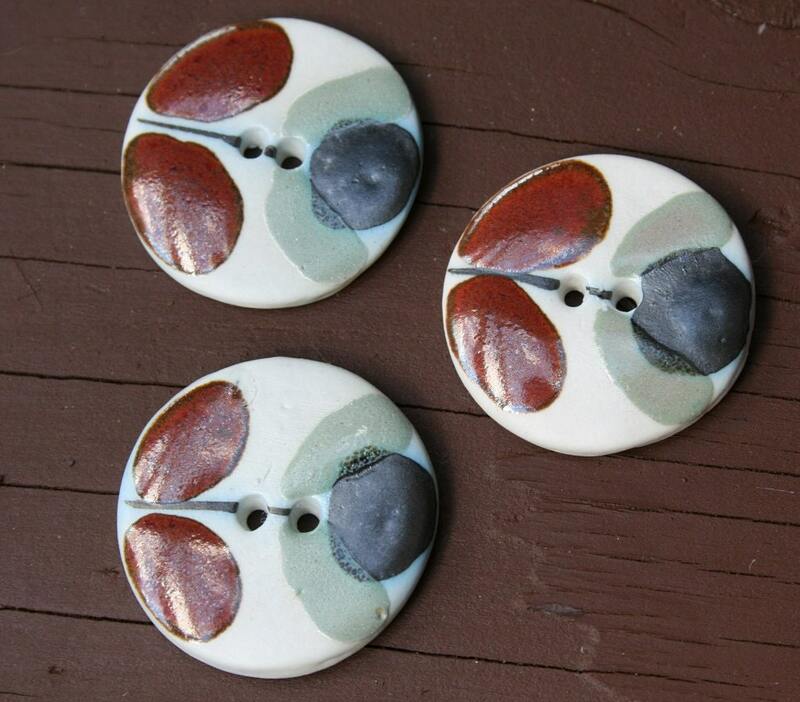 3 vintage handmade clay buttons with a rusty brown, navy and sage green pattern, size 33mm (1 and 3/8") diameter. These charming buttons are some of the remainder of the stock I accumulated during the 1990s when I was running my vintage-style clothing business. They would be ideal for trimming any of our messenger style bags, handbags, clutch bags or hats. Or they would look great on a bib style fabric necklace or in the centre of a corsage. 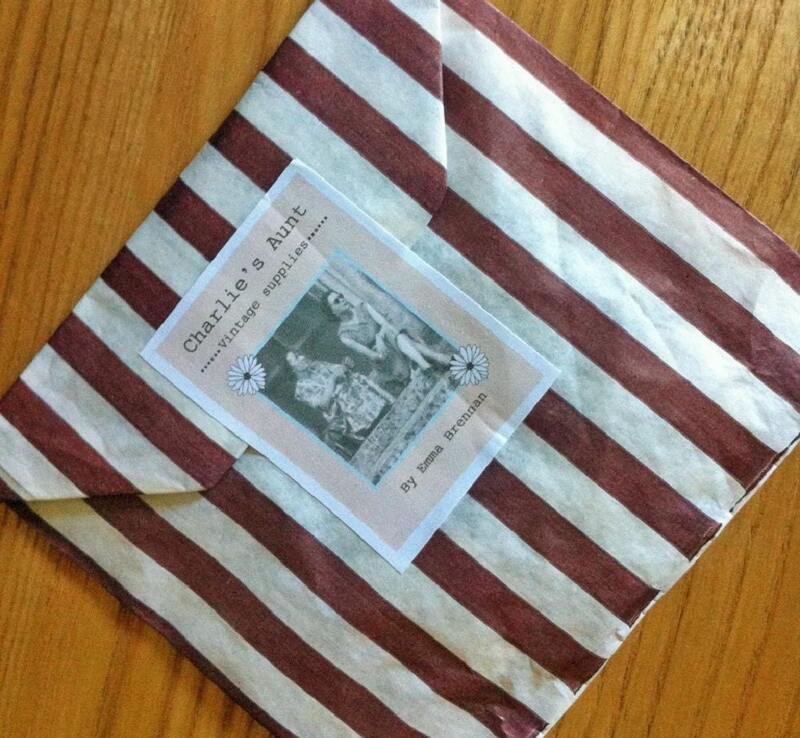 Your buttons will arrive prettily packaged in a striped paper bag, trimmed with a Charlie's Aunt sticker. If they are a gift, please specify and we can add a ribbon bow. All orders must be paid for using Paypal. Please pay at time of purchase. Contact us if you experience a problem with payment. If there is no payment or contact within 3 days of purchase, your order will be cancelled and the item re-listed. 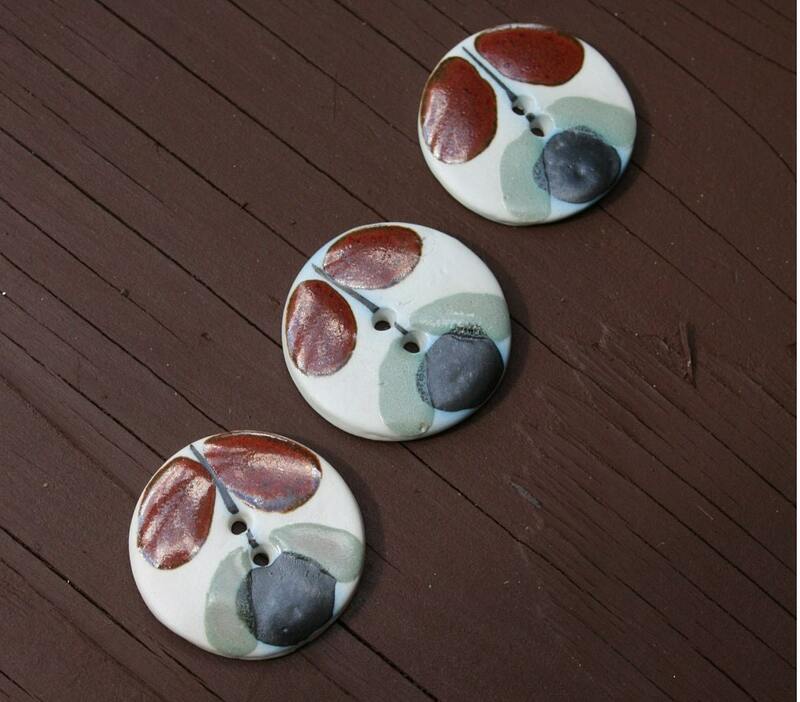 Please note that this listing is for a set of three buttons that will be posted to you at the address provided by Etsy unless otherwise stated. After I receive payment, your buttons will be posted within 48hrs. All buttons are sent via first-class mail from the UK. Insurance and/or alternative shipping methods are available on request but at extra cost. Our office hours are Tuesday to Saturday and most of our posting is done on Tuesdays or Thursdays.